The last decade has seen some of the major changes in the financial world on several lines. While the United States has gone through a massive recession and a real estate market crash recently to recover, the rise brand new type of currency could be seen – cryptocurrency. Certain improvements for the country’s economy, and around the world, has given many a reason to wait for cryptocurrencies lead. One of the ways that this is likely to occur is through tokenized stocks. Economists predict that it will influence the stock market and other finance bases in a massive way. It will depend on several factors, though. While there are some companies coming up with investment in cryptocurrency and tokenized stocks currently, it is still relatively new. All of the barriers to exchange ought to be handled carefully for these advancements, buying traditional cryptocurrency or the tokenized stocks. Investors want something that they can understand, and want to know more about the risk associated. Because they are new, this is mysterious when comes to the overall risk. The promise of newness has caused some investors and traditional investors to sit up and take notice, though, for the interest is growing. The idea of tokenized stocks, have real and tangible value in the real world assert a promising future. However, as we see more and more tokenized, this may change. If more companies in the stock market were to adopt the use of blockchain technology, then the stock market would be entirely tokenized in the future. Currently, there are many different types of assets that could be tokenized like real estate, stocks, gold, oil, and carbon credits. This can get going to be the direction that the stock market goes in the future. Why Are the Blockchain and Tokenized Stocks Attractive? One of the first benefits that the blockchain technology offers, is that everything is traceable and transparent. It is easy to track assets and goods to know where they are currently and who is holding them. The transparency can help to reduce fraud and other issues that have often plagued the finance industry in the past. The transactions are all recorded sequentially in the blockchain and can be kept forever. It is possible to understand the asset, which virtually eliminates any type of fraud while making auditing much easier. Alongside there is a substantial amount of security with the introduction of blockchain technology. The technology will provide verification for all of the transactions that take place in the network. It becomes easy to share information, and overall while providing fast ways of making transaction. The speed at which the transactions can be made make it popular. Also, this is likely to hold true when it comes to buying and selling stocks. The benefits of tokenized stocks tend to be quite similar, as they are based on the blockchain technology. They are independently controlled without many restrictions. In addition, when this type of technology is applied to other assets, it has the potential to reduce the overall costs associated with them. With all of the benefits that can be offered with blockchain technology and secured tokens, such as being faster and safer, it is no wonder many in the financial fields believe that it will be the future of not only the stock market but also many other areas of finance and investing. Currently, in the early stages of cryptocurrency, and tokenized stocks, it is impossible to tell with complete accuracy exactly what is going to happen with any of the cryptocurrencies. However, with the added security of tokens that are based on actual assets, there has been more and more interest from a range of different fields, such as real estate. 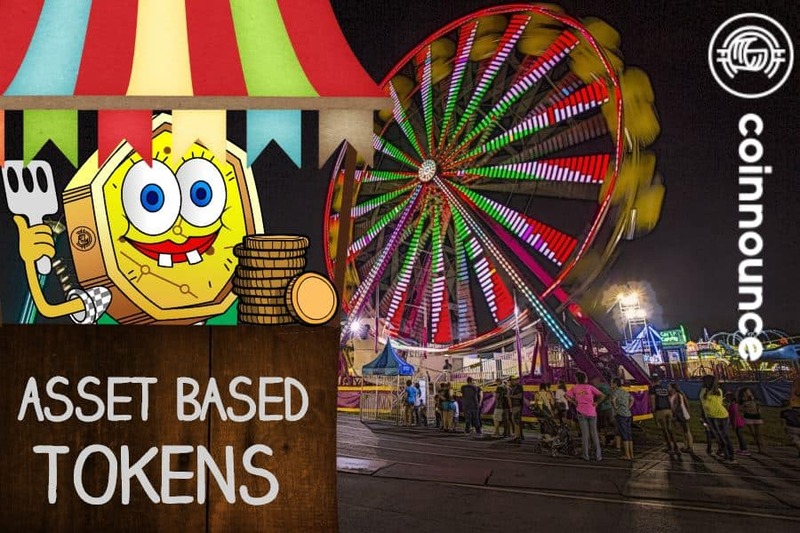 When more items, and traditional assets that investors like, become tokenized, there is a very good chance that many more options on the stock market will use tokens, and be readily accepted as a common form of investment. However, with a few years away from a major degree of tokenization of the market, the current scenario is difficult to imagine with apprehension. Many feel that in the future, far more assets are going to become tokens, and truly going to change the way finance is viewed currently. It will be interesting to see just how these tokenized stocks affect the market over the months and years ahead. Whenever a person buys a bitcoin or any other cryptocurrency, basically you are investing in a market known as the crypto market. Most of the people think that there must be a relation between the current trend of other markets such as the stock market on the crypto market. And if it so, one must be worried about what will happen to the crypto market if the stock market collapse. Also, before that, one must foresee the chances of the stock market to be crashed in the upcoming years. Well, in this article we will discuss two things which are anyhow interconnected to each other. The first phenomenon that we are going to discuss is the collapse of the stock market in 2019. Is it going to happen and what are the chances of the stock market crash in 2019? 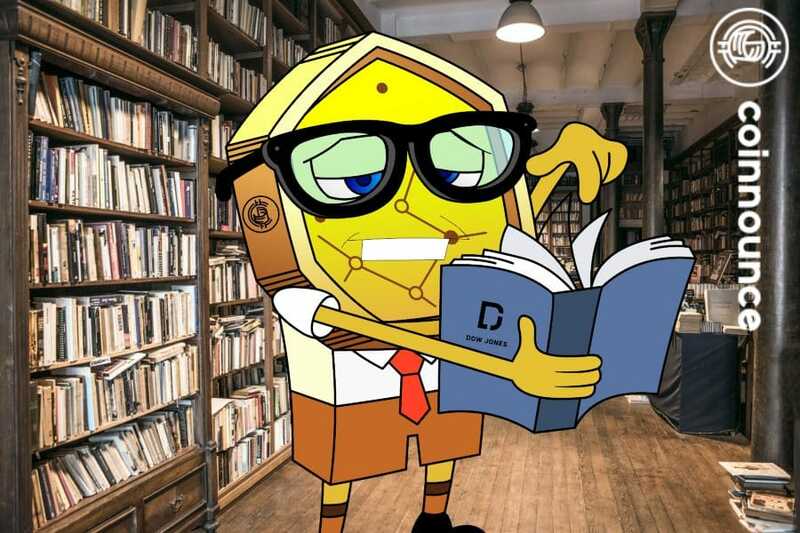 In the next section, we will discuss how if the stock market crashes in 2019, it will uplift the crypto market and bitcoin will rise due to it. So, let us first focus on how the collapse of the stock market is inevitable in 2019. Volatility in 2018: Volatility refers to the degree of fluctuation of a share in the market. The 2018 year was one the year which has very high volatility. This means that the security value of the stocks fluctuated so dramatically and was not steady at all. And as per the analyst, the stock market tends to crash so near when such a high volatile phase is there in the stock market. The volatility was never such before 2008 especially for S&P 500. Even after 2008, a high financial crisis occurred and so as the prediction of the crash of the stock market in 2019 is inevitable. 30% crash in Apple: Apple Inc. for the first time in nearly 15 years, faced a downside and even up to such a large extent. This loss was in the region where they have a very high command, in China. As per the officials, they were completely unaware of any such crisis. And if this is the condition of China itself, the global markets are surely going to be affected soon. Rising of United States Interest Rates: The interest rate has enhanced around 8 times that is used to be in the United States in 2015. And, this is definitely not a good sign for the stock market. The high interest rates have always lead to financial recession and if this trend continued, surely collapse of the stock market will occur next year. So, above warnings depicts that a stock market is surely going to crash in 2019. Now, in the next section, we will see how if such a crash happened, it will affect the bitcoin on a positive note. Why Bitcoin will rise due to stock market collapse in 2019? First of all, we need to understand that the stock market and the crypto market are connected to the financial components like banks, government policies etc in two different ways. The stock market is highly depended upon the other market components like stocks, equities, banks, government policies etc, whereas this is not in the case of bitcoin. Well, if look deep in the case a stock market crashes, certainly bitcoin will rise. If there is a crash, people will look for an alternative to the usual market, after all, it is the hard-earned investment. People will start questioning about the function of the usual stock market and start research on how they can earn more by investing and if there is an alternative for the stock market, it is the crypto market. 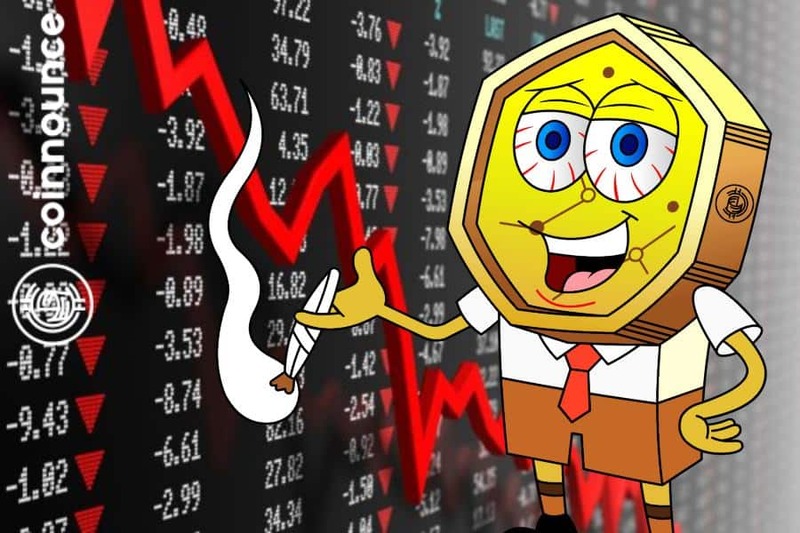 In the case of the stock market crash, more and more people will tend to the crypto market and eventually, this will help the bitcoin as well as complete crypto space to rise. Another hint for the rising in bitcoin is the inverse relationship of the crypto market with the global market. Some believe that a stock market crash was the time which gave the invention of the crypto market. As per the inverse relationship theory by some trade analyst between the global market and crypto market, as there is downhill in the stock market, the other one will definitely rise. A stock market can encourage the investors to buy more and more cryptocurrencies as a safe asset, like once gold used to be. The entry of institutional money in the crypto market. We have been listening to the rumors of the entrance of this big money in the crypto market for a very long time. Now, if a crash happens in the stock market, definitely it will lead more and more investors to invest the institutional money in the crypto space. Eventually, the crash will enhance the extent of investment of institutional money into crypto space which is a good sign for Bitcoin and other digital currencies. So, on a short note, bitcoin can surely rise if the stock market collapse in 2018. What are your thoughts on the same? Tell us in the comments section below. Donald Trump, the president of the united states ended the government shutdown on 25th January 2019. This shutdown began on 22nd December 2018 and lasted for 35 days. Almost most of the government works were on hold during this shutdown. Now, one must argue that apart from the political impact of this Trump Government Shutdown, what could be its financial impacts. Now, when we are pointing out financial impacts, we are including two markets i.e. the stock market as well as the crypto market. In this article, we will discuss the effects of Trump Government Shutdown on the stock market and crypto market. We will first introduce the Trump Government Shutdown and finally will point out its effect on the stock market and crypto market individually. During the campaign of the presidential election in 2016, Trump had promised to build a border wall between US and Mexico. The expected cost for this action was around $5.7 billion. Trump thought to regain this cost from Mexico. But, this negotiation was refused by the President of Mexico. Eventually, Trump passed an order to build the wall using the existing funding of the federal. However, a appropriations bill was passed by the Senate in December 2018 and it was not having the fund for the above border wall. Trump refused to sign on this bill as he was focused to include the fund for border wall in this bill. Trump met the top leaders of the Senate on 11 Dec 2018 asking them to support a bill for this border wall having a cost of around $5.7 billion. However, the members refused. After this declination, Trump announced to start the Government Shutdown in the sake of border security on 22 December 2018. This shutdown expired the funding of various sectors like tax collection, law and regulations etc. Around 0.8 million employees were not paid during this duration. According to a survey, this shutdown cost the US economy around $3.6 billion. This was a short introduction to the Trump Government Shutdown. Nextly we will see the effects of this shutdown on the stock market. Well, if seen at a broad level, shutdowns have never affected the stock market and this shutdown was also not an exception. There wasn’t any major impact of the shutdown on the stock market. The global stock market has risen as well as fallen during the shutdown. During the shutdown, the market fell but for a very short period, around 10-15 days and having no major impact at a global level. During this Trump Government Shutdown, the MSCI World and Asia index have risen 8.1 and 4.2% respectively. The S&P 500 has risen to around 9.3%. So, there is a mix impact on the stock market during the shutdown. Now let us focus on effects on the stock market after this shutdown. The shutdown has always lead the stock market to rise tremendously after a time gap of 3 months to 1 year after the shutdown. So, it is expected that the stock market will without any doubt, rise significantly after around 3 months of this shutdown. Now, after the effect on the stock market, let us have a glance at the effect of the Trump Government Shutdown on the crypto market. The shutdown may impact the crypto market in both directions as well as indirect way. If we consider the direct impact of the shutdown on the crypto market, then the delay of Bakkt comes first into our mind. Bakkt was supposed to be launched by the ICE on 24th January 2019. However, ICE was not aware of this shutdown while announcing about the launch of Bakkt. Now, after the shutdown was announced on 22 December 2018, it delayed the launch of Bakkt. It still requires to have some important approvals from the trading commission of the country and as all such commission were off during the shutdown, the Bakkt failed to get these approvals on time and hence was not launched on 24 January 2019. Hence, the shutdown delayed the launch of Bakkt. 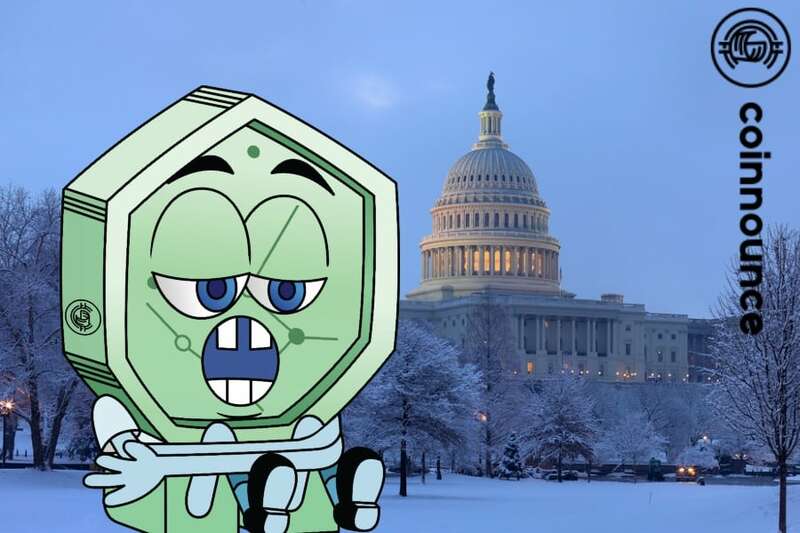 Now, let us consider the indirect impact of the shutdown on the crypto market. The price of cryptocurrencies didn’t have some much fluctuation during the shutdown. For example, on 22 December 2018, when the shutdown was announced, BTC was at $ 3882 while on 24 Dec, it was around $ 4311. While on 25 December, it fell to $3756. So, we find that the crypto market faced a mix impact of this shutdown. Someday it rose and someday it fell. So, there was a fluctuation of the impact. Overall, the shutdown doesn’t impact indirectly on the price of cryptocurrencies. What is the Dow Jones Index? List of companies included as of Jan 2019. The Dow Jones Index is simply a stock market index that indicates the value of 30 large, publicly owned companies based in the United States. It defines how the companies have traded in the stock market during various periods of time. The index is not weighted arithmetic mean and does not represent its component companies’ market capitalization. In 1884, Charles Dow composed his first stock average, which contained nine railroads and two industrial companies. Though comprising the same number of stocks, this index contained only one of the original twelve industrials that would eventually form Dow’s most famous index. To calculate the Dow Jones Industrial Average, the sum of the prices of all 30 stocks is divided by a divisor, the Dow Divisor. The divisor is adjusted in case of stock splits, spinoffs or similar structural changes, to ensure that such events do not in themselves alter the numerical value of the Dow Jones Industrial Average. 2. International Business Machines Corp.
3. Goldman Sachs Group Inc.
5. Walgreens Boots Alliance Inc.
18. JP Morgan Chase & Co.
27. United Health Group Inc.